I would like to thank M____ for providing such an easy set-up line, and for the supply of excellent coffee. And to M___ for sniggering* in the right place. Ears seem to be fine today, but necks have gone berserk. - ... 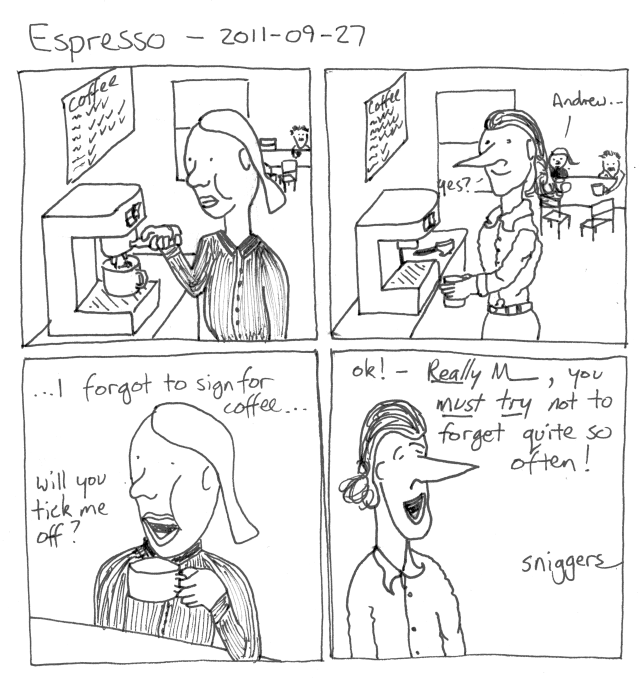 I forgot to sign for coffee ... will you tick me off? - ok! -- *Really* M__, you _must_try_ not to forget quite so often! maybe not all at once. Can I leave out the songwriting?